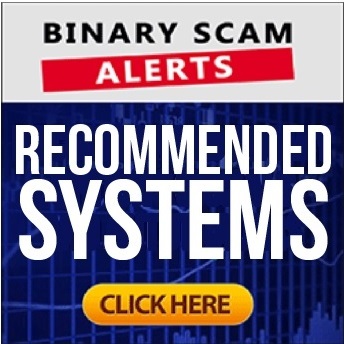 Binary Scam Alerts » Social Trading » Social Trading, SCAM or Legit Way to Make Money? As we surveyed the Forex binary options landscape for the past year looking for legit trading robots, copiers, social trading tools, and signals providers, we have stumbled onto countless scam systems and provided many exposing reviews. All of these fake apps and automated software providers keep boasting about impressive performance and accuracy levels that if real would put investors like Warren Buffet or Chris Sacca to shame. Needless to say most systems being offered these days are scams and worthy of being blacklisted for a variety of reasons. First and foremost because they are designed to steal money from traders (that’s you) by operating in cahoots with unregulated offshore brokers in what is referred to as a revenue or profit share scheme. The SEC, CFTC, AMF in France, ASIC in Australia, have all issued severe warnings and informed its citizens of the risks related to binary options. Social trading is an excellent alternative to binary options trading robots (automated trading systems or auto traders) and a truly legit way to make money trading online! It’s also known the securities fraud carries a large fine and prison terms in certain cases, however this does not deter various crooks from conducting their business in a less-than-reputable way. The recent closure of Banc de Binary has signaled to us that regulation is beefing up and the industry fat cats are staring to feel the heat as fines prompted by a lack of consumer protection have taken their toll. Quick Update: We are not recommending Tradeo anymore since they have made it super difficult to register an account and get started trading. There is no possible way you can profit using their service since they are very slow to respond and do not provide effective customer support. Etoro is a better alternative and far more professional. CySec which is considered to be the leading regulatory body in all matters related to binary options has taken a very proactive approach about enforcing its policies. Even more so, due to recent regulatory constraints some regulated brokers no longer allow automated trading on their platform. Banc de Binary ex-employees have told us that the combination of fines, tougher enforcement, and banning of trading robots are the main reasons why this broker has shut down its operation. In essence, the big binary options and Forex brokers have become a victim of their own success, and since they are the ones processing the most money the regulators turn to them to line their coffers and fine them for violations. In this instance we believe the lines have become blurred and putting regulated brokers out of business is detrimental and pushes the industry to operate illegally (but that’s a different discussion). In binary options most of the brokers are market makers, and this means they make money when you lose yours. In Forex this is not necessarily the case, as many brokers only provide the trading environment and collect a certain fee based on volume of trades executed. This is the case with Tradeo and Etoro, and part of the reason why we have chosen to focus on these 2 brokers. Is Social Trading a Good Alternative to Make Money? The short answer is a resounding YES! However, social trading in Forex, just like binary options or all forms of online trading is risky. Fortunately we have selected a couple of regulated Forex brokers specializing in social trading and are now recommending these platforms to our members and subscribers. Tradeo is a relative newcomer although we have tested this platform and it performs according to our expectations. A few words about Tradeo and social trading. This platform is really about “the wisdom of the crowds” and sharing information. For example, if you see a certain trader is getting a lot of positive feedback on his trades, chances are he knows what he is doing. So the obvious next step would be to select the number of lots which is the measurement of units you wish to trade, choose the stop loss feature as a form of risk management, and click the copy button. It’s super easy and and the best thing about it is that you have thousands of traders just like you to talk with, share your experience, and help improve your performance. The two screenshots (above and below) show how the actual copying is done. After funding a trading account you simply select the “traders” option in the scroll down option and after you are satisfied with their performance you can copy their trades. The statistics and performance levels are totally transparent and for everyone to see. In fact, you can start trading and making good money almost immediately. The educational center is also very informative and they teach you exactly how to copy traders. The stats and charting features are also very impressive, however they are just a means to validate trades and check on the trends. It is not a requirement to know how to interpret the signals, you simply need to know which trader to copy and let the system take care of the rest. The minimum deposit on Tradeo is $250, which is an acceptable amount according to industry standards. The first drawback has to do with the fact that the broker is also providing the trading tools and social signals. This means the broker is not just providing the trading arena, it’s also gathering other traders in the platform and based on their actions it is understood that you will execute trades. There is no reliance on 3rd party software which could actually assist you in some cases, and this means all the power is concentrated in their hands. To be specific, if you could use a Forex EA (expert adviser) then you may be able to achieve better results. In this case, you are using their trading solution and confined to a certain set of operative actions. However this is dwarfed when compared to the risks taken when trying out a new and untested auto-trader. Unfortunately traders from the USA, Canada and Australia will not be able to trade on Tradeo. Our Australian and Canadian (Quebec excluded) subscribers can signup via Etoro, and that platform operates much in the same way and is also regulated by ASIC. US and Quebec residents are welcome to read our Option Robot review. The screenshot below tells the story, simply select “copy people” and you are on your way. The execution is also fully automated and after you select the amount you wish to risk and invest its basically on autopilot. You can always stop it and choose to copy another trader. You can also build a portfolio of traders you wish to copy and the software will take trades according to the first on the list. Can You Really Make Money With Social Trading Or Am I About To Get Scammed? The short answer is you can profit for sure, however you have to understand who to copy and how to control your budget. We have actually contacted the staff and the answers we received were on point. The minimum deposit is now $200 on Etoro and they have to verify your account for regulatory reasons. The educational section is also extremely advanced and we found the customer service to be both courteous as well as professional. If you still want to try out a good auto-trader simply refer to our recommended section. We have actually tested most of the trading robots and these are the ones that always come out on top. When it comes to social trading versus binary options there is some confusion. Binary options brokers have a feature called “follow me”, which is supposed to mimic real social trading. In reality it has nothing to do with social trading and everything to do with getting customers to trade regardless of what the outcome is. We have received various complaints about the follow me feature and questions as to how this really works. Naturally we are skeptics and started to dig in deeper, our findings indicate a clear pattern of deception so we do not recommend you use this feature. Instead if you choose to trade manually it’s best to have a strategy in place and start looking at charting tools such as candlestick charts and bolinger bands. In short, if you have had it with auto-traders and are looking for a legit way to profit online, we highly recommend social trading on regulated platforms. If you are US or Canada based please contact us for alternative solutions. As always, if you have any further questions or dilemmas feel free to contact us through our Facebook Group or YouTube Channel.